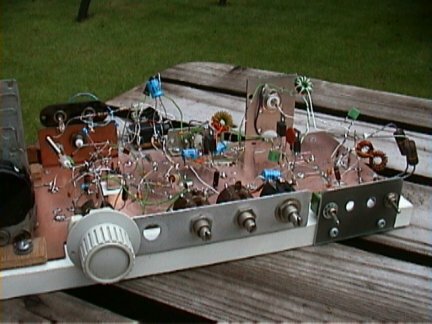 The project presented here is a homebrew SSB transceiver, which operates on a single, crystal-controlled channel of the 60 meter band. The project will be presented one board at a time until a working transceiver is attained. I've had an interest in building a simple VXO transmitter for many years, but was unsure that the limited tuning range usually associated with VXOs would be useful on the busy HF bands. However, when the channelised frequencies became available on 5 MHz, I thought that this would be an ideal application for a VXO TX/Receive Converter project to be used alongside my Elecraft K2 transceiver.